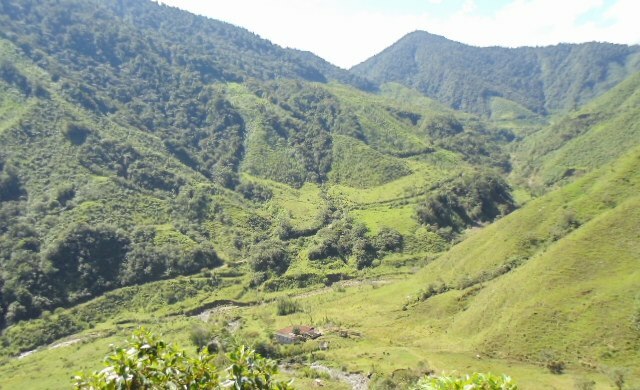 Since February 2014 nursery and reforestation activities have been developed in the Tangaras Bird Reserve, a nursery of 200m2 and an annual production of 15,000 seedlings of 12 different species, it is expected that 2014 will finish with 46 acres reforested. After almost a year since the establishment of the nursery, located in the area known as “La Sánchez”, it was possible to produce more than 15.000 seedlings in the nursery and have material available to reforest 46 acres distributed between the Reserve and the farms adjacent to the protected area. Las Tangaras Bird Reserve, which is located in the municipality of Carmen Atrato (Chocó), was created in 2009 in order to protect the habitat of two species of endemic birds, the Gold-ringed tanager (Bangsia aureocincta) and the Black-and-gold tanager (Bangsia Melanochlamys); there are nearly 9.900 acres that protect the Rio Atrato basin (the most important River on the Chocó), which serves as a vital economic resource for tens of thousands of people living in the surrounding rural communities. 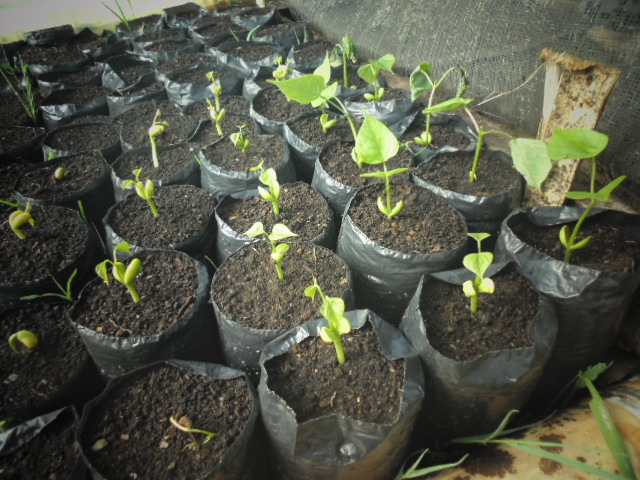 The long process of producing seedlings started in February 2014 with the sowing of the seeds, transplanting, fertilizing, watering and weeding; now a variety of native species are produced in the nursery. In addition seeds and seedlings of seed trees identified by the field technician, Elver Andres Ledesma, responsible for directing these activities, are collected. The goal is to produce 15.000 seedlings in the nursery and have materials available to give to the community reforestation initiatives on farms in the area. In December 2014 46 acres of reforested old pastures are expected to be completed; these areas are located in the vicinity of the Sanchez river and minor tributaries, this month planting was begun and the trees that have been sown have a minimum height of 25 cm, with good root development, good leaf development, free from pests and proper hardiness.